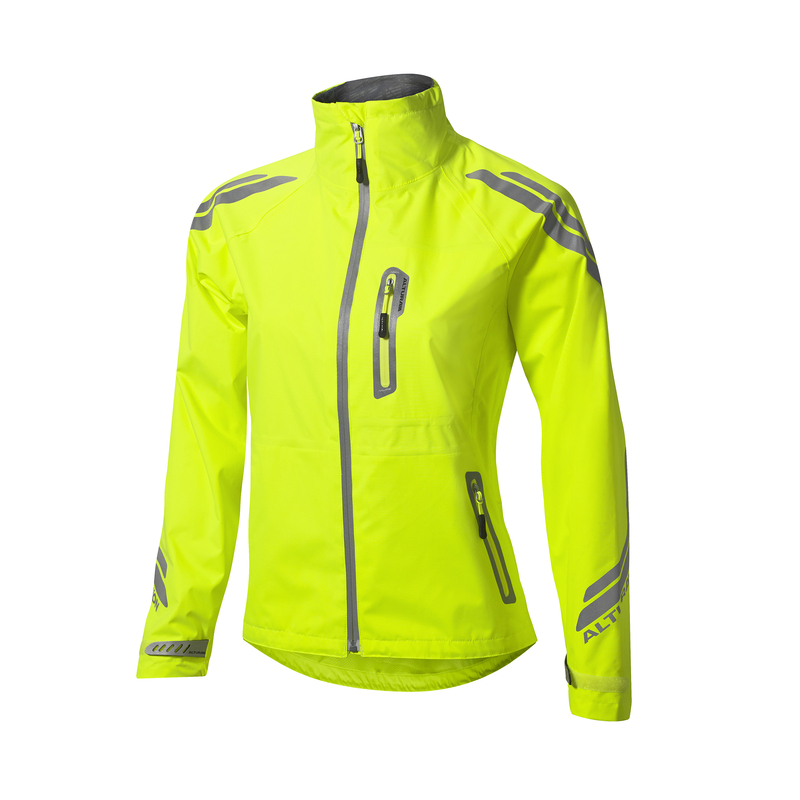 The women’s NightVision Evo is Altura’s premium waterproof commuter jacket for cyclists looking for maximum visibility waterproofing and breathability. The women’s NightVision Evo features NV360°™ performance elements providing 360-degree reflectivity to keep you safe in low-light conditions and enhance your visibility to other road users while the Altura Shield™ EVO fabric technology is engineered to provide protection from wind and water as well as offering superior levels of breathability in a soft touch 2 Layer fabric. With a loose fit the NightVision Evo has been constructed using Altura’s ErgoFit™ 3D pattern engineering to fit you perfectly when you’re in a typical riding position; pit and yoke draft venting increases breathability and prevents you from overheating in in your work clothes and with your safety in mind Altura have also included a cleverly integrated ILume® rear flashing light for maximum dark light visibility. I think these jackets should be made compulsory you stand out day and night plus you stay dry. Love it. The color is impossible to miss, the reflectors are everywhere, the light is bright and easy to use, the sleeves are long enough to keep the wrists covered. Great jacket.